I can’t write much because I can only focus for about 30 seconds at a time but I wanted to update my readers on my surgery. 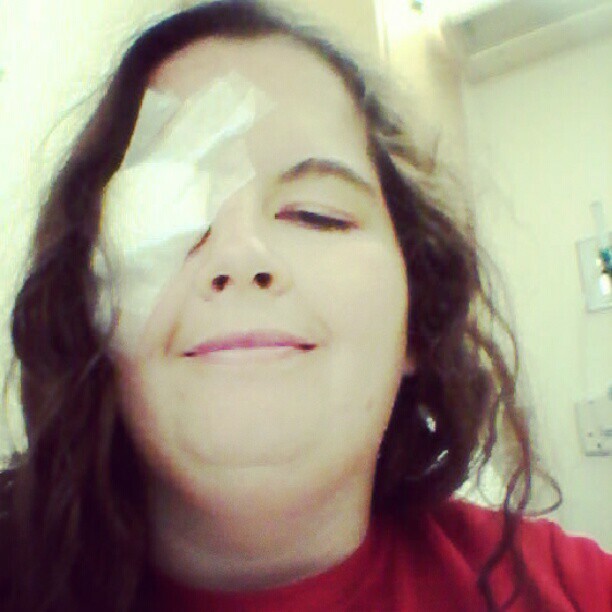 Last year I had a strabismus surgery where they create an incision in your eye and move it with a suture to try and align the eye. This helps you to not see double or have a lazy eye like I do. Unfortunately my eye did not accept the new alignment and reverted back to most of its original position (was a 20 right left last year, down to 8 after surgery, back up to 14 this year, 25 up and down). So I went in yesterday and my wonderful doctor, Dr. Peterson at Rocky Mountain Eye Care, performed the surgery. 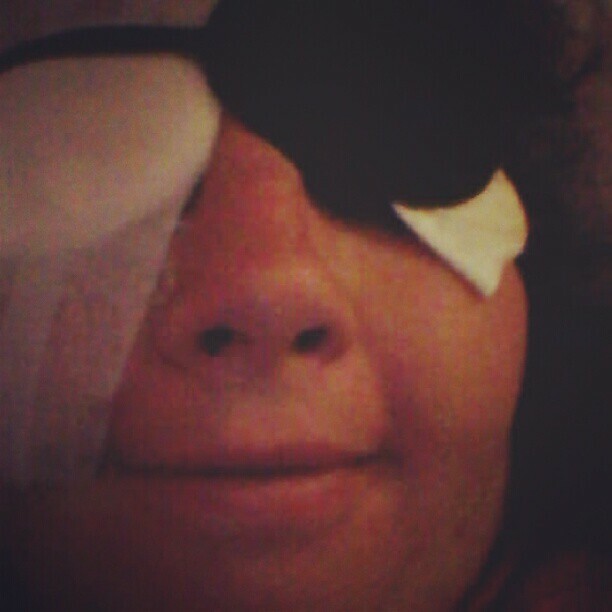 This time on both eyes with the sutures on my left eye instead of right like last year. I also went with a different pain medication, perkiset, instead of lortab, and I responded much more favorably to it. Wish I could say the same about the anesthesia. It makes me very nauseated. Even with the zofram I vomited when I woke up. Luckily I had a pretty good nurse who was a tough cookie. Instead of consoling or feeling bad she just said ‘get it out and you’ll feel better’. Its true. Anyway, it wasn’t pleasant waking up from surgery but my time in the recovery room wasn’t quite as long as last year. I don’t know how anyone can go through a surgery for purely cosmetic reasons like plastic surgery. It is so miserable for me. After about an hour they wheeled me into the recovery room and my Mom was there. She kindly came out to take care of me, which is such a treat. I told her I may have to undergo surgery every year to get 4 days of her all to myself. Thanks to my Dad for holding down the fort in Cali so my Mom could come. Luckily I didn’t throw up in the car this time going to the doctors for the final suture adjustment. They have to do that after I’m awake to make it the most accurate. This was painful but my doctor is so reassuring and kind it helps. My only complaint was having to wait a long time when I was so uncomfortable but oh well. So I got home and my sister Anna came up to help which was very nice and I had tons of well wishers and even a visitor (Thanks Melissa). I listened to audiobooks (reading wonderful memoir by Marcus Samuelson called Yes Chef) and guazed both eyes in spurts. The perkiset helps a lot with the pain. Its a strange pain kind of like a prickly burning feeling more than a stabbing pain. The sutures itch which is obviously uncomfortable and I found it difficult to sleep with my eyes burning but have been trying to rest as much as possible. I love frog eye salad when I’m sick. 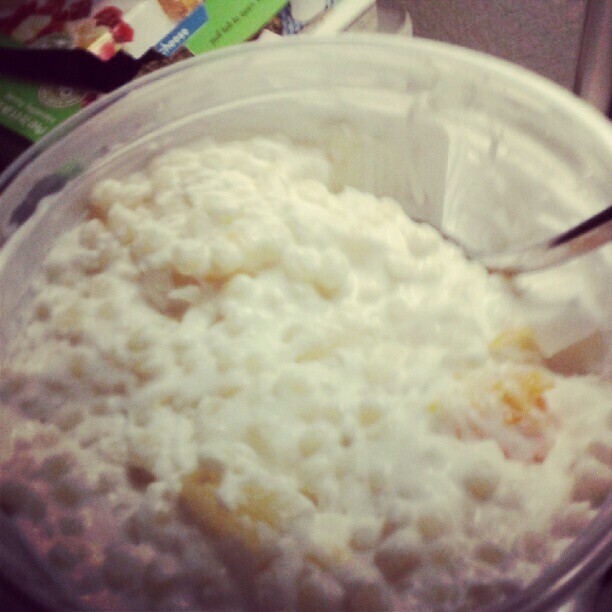 It doesn’t have a strong flavor and is so yummy. Never eat it in regular life. Today I feel some improvement and I am not as sick from the anesthesia as I was last year. Its hard because my world is still very fuzzy and my eyes are irritated and sore but I think I’m improving from last year. Please also continue to keep me in your thoughts and prayers. I need them! Sorry if this isn’t quite up to my usual posts. I am touch typing it and my brain is still a little cloudy. Love you all. courage, rachel! thanks for sharing. it’s great you have family and friends for support. Thank you. I’m so blessed with so much love in my life. I’m very grateful and humbled. Where did you get this done? What doctor/surgeon? I actually ended up having the surgery twice and I’m so glad I did. It was painful and difficult but it has made my life better. 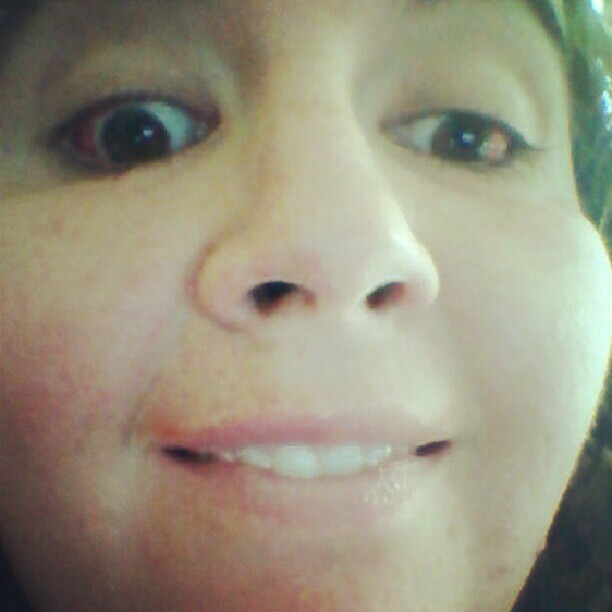 However, I think what made the surgery so successful the second time was I bit the bullet and paid for vision therapy. This helped immeasurably. I would at least go once so you have the vision exercises and you can do them on your own. I’m confident I would have needed a 3rd or 4th surgery without that vision therapy. Hope that helps!